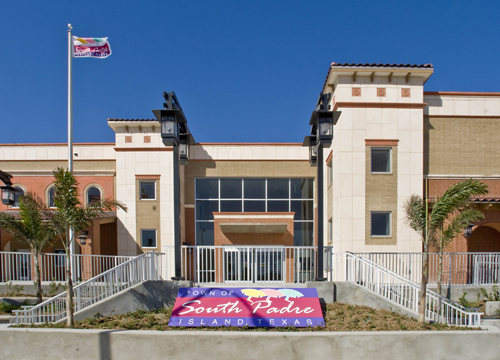 South Padre Island Municipal Building | ROFA Architects, Inc. Designed to replace their 40 year old city hall, this new two story municipal complex houses a police station, jail, municipal court, alderman’s chambers, city manager, public works, building inspections, code enforcement, finance, city records and other various offices. Designed to withstand the hurricane force winds, storm surge, and the corrosive coastal environment of this barrier island.